Robert Sutton, father of our subject, was born in England, and came with his parents to this country. He resided first in Philadelphia, and married Hannah Stockdale, daughter of John Stockdale, a farmer and stock dealer, who spent his entire life in his native land. His family numbered twelve children. Mrs. Sutton crossed the briny deep in 1818. After their marriage they located on a farm in Philadelphia County, where the father of our subject carried on agricultural pursuits for a period of five years. He then removed to Bucks County, where he followed farming until 1840, which year witnessed his arrival in St. Louis County, Mo. He there followed his chosen occupation until 1845, when he became a resident of Clinton County, Ill., and there he remained until his death, which occurred in 1873, His wife survived him several years and was called to the home beyond in 1882. He was a Republican in politics, and with the Presbyterian Church both held membership. Their family numbered four children, but our subject has only one brother now living, Edmund, a resident of St. Louis. John J. Sutton, whose name heads this record, quietly spent the days of his boyhood upon his father's farm, and his education was acquired in Bucks County, Pa., supplemented by about six months' attendance at the common schools in Clinton County, Ill. He remained at home aiding in the labors of the farm until after his parents' death, and then assumed its management, carrying on operations along that line until 1884, when he removed to Greenville and was elected to his present office, the duties of which he has discharged with a promptness and fidelity that have won him the commendation of all concerned. Mr. Sutton has purchased city property in the east part of the town, and, besides this, owns a one hundred and sixty acre farm in Clinton County, and other land in Madison County. In politics, he is a stalwart Republican, and has ably filled the offices of Supervisor, Town Collector, School Trustee and School Director. He was also Justice of the Peace for three and a-half years in Clinton County. He is a faithful member and Trustee of the Presbyterian Church, is a stalwart advocate of temperance principles and is an honorable, upright man, who takes an active interest in all that pertains to the welfare of the community and its upbuilding. He is a valued citizen, and one well deserving representation in this volume. 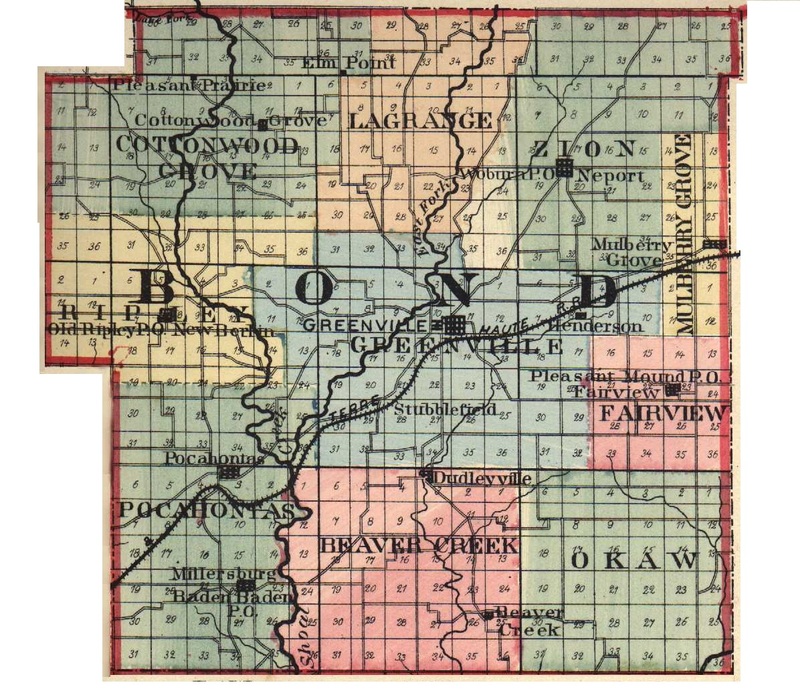 Extracted 20 Dec 2016 by Norma Hass from 1892 Portrait and Biographical Record of Montgomery and Bond Counties, Illinois, page 328.